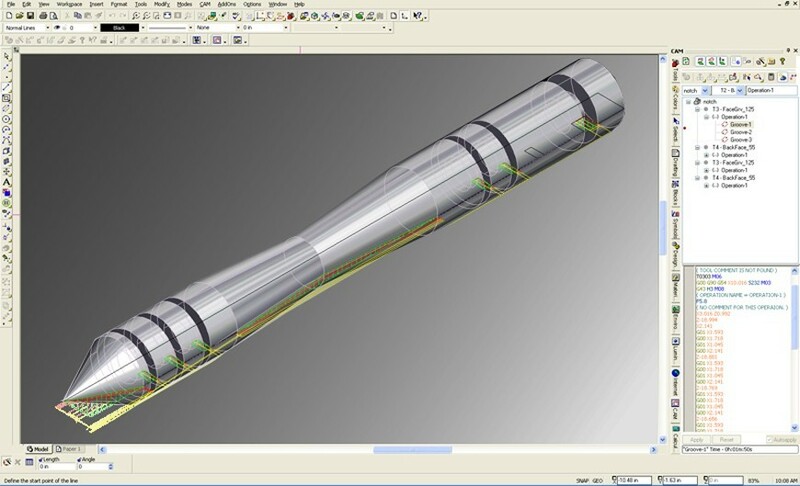 The CAM Plug-in for TurboCAD Pro is the machinist’s choice for 2.5D CAD. This powerful plug-in generates native G-code for your machining equipment with no post-processor. The CAM plug-in includes a built-in communication module which allows you to set-up your CNC controller! Define the tool paths based on, for example, a 1/4" drill bit. Supports FADAL, FANUC, and HAAS controllers, or easily configure your own using the setup wizard. CAM setup wizard provides simple setup for controllers, parts, and tools. Change machining parameters easily, including load factor compensation for specific machines, tools, and materials. Import 26 different CAD file formats. Includes DWG, DXF, IGES, and STL among others. Save native g-code as text. No post processors necessary. All native g-codes are automatically generated or can be manually edited within the application. Automatic optimized tool paths. Changes to the tool or design automatically trigger new optimized tool paths. 2D/3D simulation in real time. 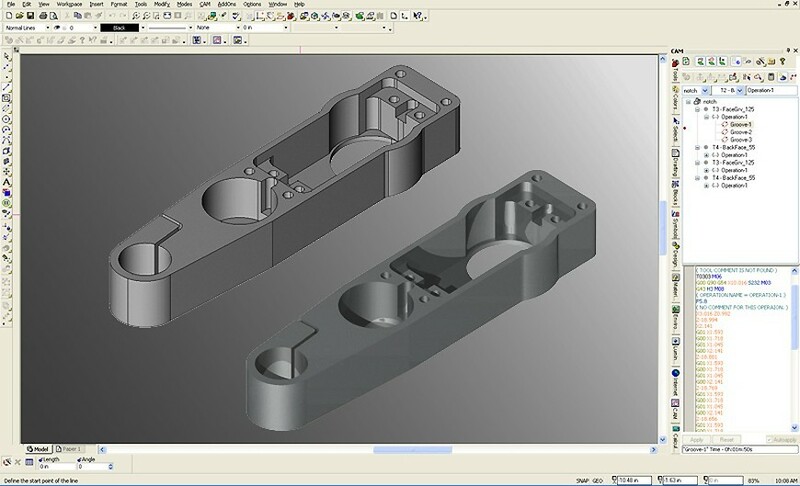 Linear tool paths can be copied, allowing easy configuration of a second finishing cut to perfect the machined part output. Supports tapping head and peck drilling (including g-73 and g-83 peck cycle codes). 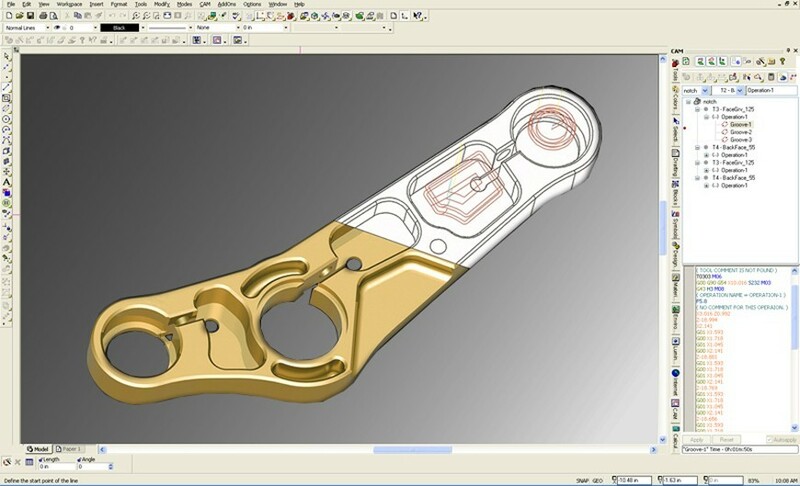 Tool paths and g-codes are saved with the drawing. Projects can be saved, or worked on collaboratively across machines without complete rework. Feed/Speed recommendations supplied for every tool. Change the depth, feed, and speed easily at any time. 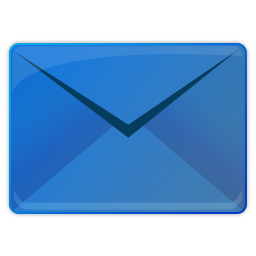 View and edit by tool, operation, or part; reorder operations as required. DNC downloads g-codes directly to the controller. 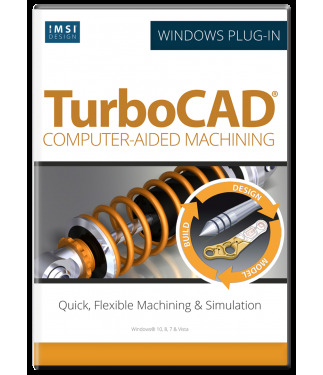 This is a plug-in to TurboCAD Pro and TurboCAD Pro Platinum. You will need to purchase the version of the plug-in that corresponds to your version of TurboCAD Pro/Pro Platinum. If at any time you upgrade your TurboCAD Pro/Pro Platinum software, you will able to download an updated version of this plug-in to work with your new TurboCAD Pro/Pro Platinum at no additional charge. 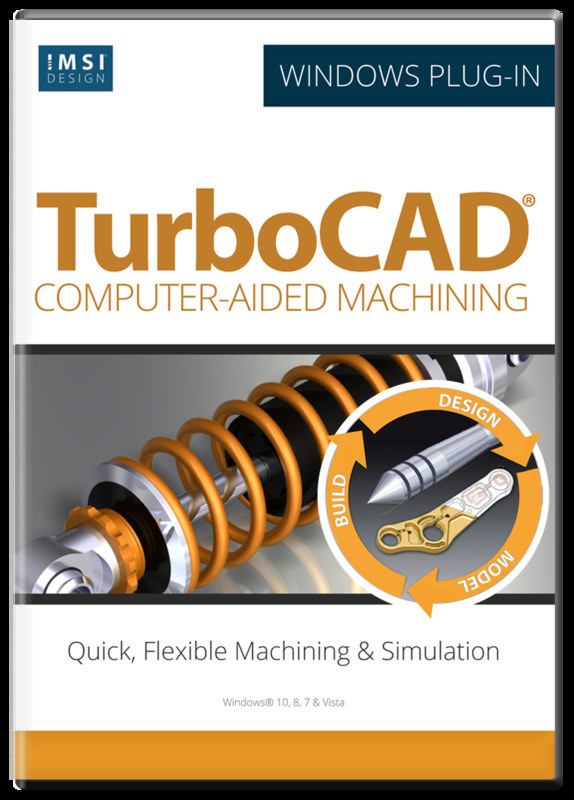 CAM plug-in only works with the 32-bit version of the TurboCAD Pro or Pro Platinum. Both the 32-bit and the 64-bit versions are provided when you purchased, and you can run both on the same machine simultaneously. Do not attempt to run them on separate machines or you'll be in violation of the end user license agreement.